BUTUAN CITY, Oct. 11 -- A total of 2,097 agrarian reform beneficiaries (ARBs) of Caraga region received their certificates of land ownership (CLOAs) from the Department of Agrarian Reform (DAR) on Friday, October 5 at the Agusan del Norte provincial capitol covered court here. Agrarian Reform Secretary John R. Castriciones, with Agusan del Norte governor Ma. Angelica Rosedell M. Amante-Matba, led the distribution of the titles to the farmers from the different municipalities of the region. The CLOAs covered a total land area of 2,878.4621 hectares of agricultural land with 2,310 CLOAs or the documents evidencing their ownership of the land granted to the beneficiaries. Castriciones challenged the farmers to make their land productive and use them to uplift their living condition. Of the 2,097 ARBs, 221 come from the province of Agusan del Norte, which covered 318.5105 hectares (Buenavista, 20 with 12.4969 hectares; Butuan City, 58 with 61.8962 hectares; Carmen, 17 with 42.2024; Jabonga, 77 with 111.2423; Kitcharao, 8 with 11.1638; Las Nieves, 10 with 17.3322; RTR, 19 with 41.0879; Santiago, 12 with 21.0888). The province of Agusan del Sur had 796 ARBs who received CLOAs covering 1,257.2320 hectares (Bayugan, 28 with 35.6501 hectares; Bunawan, 25 with 35.2787 hectares; Esperanza, 39 with 62.5291 hectares; La Paz, 129 with 263.6930 hectares; Loreto, 57 with 95.9301 hectares; Prosperidad, 168 with 268.4935 hectares; Rosario, 9 with 13.5980 hectares; San Francisco, 138 with 155.1285 hectares; San Luis, 23 with 34.5592 hectares; Sibagat, 15 with 25.1401 hectares; Sta. Josefa, 13 with 21.5642 hectares; Talacogon, 14 with 19.0034 hectares; Trento, 93 with 151.8592 hectares; and Veruela, 45 with 75.3449 hectares). 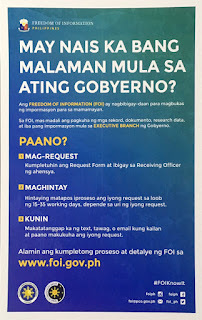 The province of Dinagat Islands had 242 ARBs who received their CLOAs comprising 293.1693 hectares (Basilisa, 45 with 58.8562 hectares; Cagdianao, 10 with 15.0967 hectares; Dinagat, 59 with 63.0884 hectares; Libjo, 11 with 10.5871 hectares; Loreto, 13 with 17.4370 hectares; and Tubajon, 104 with 128.1309 hectares). Surigao del Norte had 575 ARBs with CLOAs covering 600.2643 hectares (Bacuag, 31 with 24.6429 hectares; Claver, 21 with 26.7909 hectares; Dapa, 13 with 15.7133 hectares; Del Carmen, eight with 9.7219 hectares; Gen. Luna, nine with 17.2532 hectares; Gigaquit, one with 2.4702 hectares; Mainit, 36 with 38.0438 hectares; Malimono, 314 with 318.6064 hectares; San Benito, six with 13.4505 hectares; San isidro, 14 with 21.3371 hectares, Sison, 81 with 60.4033 hectares; Surigao City, 40 with 49.2212 hectares; Tubod, one with 2.6096 hectares). Surigao del Sur had 263 ARBs with CLOAs comprising of 409.2590 hectares (Barobo, eight with 14.5292 hectares; Bislig City, 26 with 58.0000 hectares; Cagwait, 10 with 13.0348 hectares; Hinatuan, 44 with 71.3658 hectares; Lianga, one with 0.9313 hectares; Lingig, four with 8.7298 hectares; Marihatag, 22 with 21.4565 hectares; San Miguel, 32 with 36.2222 hectares; Tagbina, 85 with 134.0359 hectares; Tago, 26 with 49.4884 hectares; Tandag City, five with 1.4651 hectares). Also, during the distribution of CLOAs, Secretary Castriciones distributed farm machineries and equipment under its Agrarian Reform Community Economic Support Services (ARCESS) and Climate Resilient Farm Productivity Support Project (CRFPSP) to farmers. Under the ARCESS, the Southern Agusan Seed Producers Cooperative (SASEPCO) in the municipality of Trento, Agusan del Sur received one unit of Combined Harvester and one unit of Mechanical Rice Transplanter. In the province of Surigao del Norte, the Alipao Multi-Purpose Cooperative (ALMUCO) in the municipality of Alegria received one unit Combined harvester and one unit Mechanical Rice Transplanter. The San Isidro Multi-Purpose Cooperative (SIMPUCO) in the municipality of Gigaquit and the Rural Improvement Club Producers Cooperative (RIPROCO) of Surigao City also received one unit Mechanical Rice Transplanter each. The Combined Rice Harvester is worth PhP1,859,520 while the Mechanical Rice Transplanter is PhP247,520. The JAMAFO Agrarian Reform Beneficiaries Cooperative of Kitcharao, Agusan del Norte; Oil Palm Growers Multi-Purpose Cooperative of Butuan City; Magaud Agrarian Reform Beneficiaries Cooperative of Loreto and Gamao Multi-Purpose Cooperative of Bayugan, both from the province of Agusan del Sur; Cantapoy Agrarian Reform Beneficiaries Cooperative of the municipality of Malimono and Ima Agrarian Reform Beneficiaries Association of Sison from Surigao del Norte; Balilaycar Farmers Marketing Association of Tago and Bayabas Agrarian Reform Beneficiaries Association of Bayabas in the province of Surigao del Sur all received one unit each of 4WD Tractor under the CRFPSP of DAR. 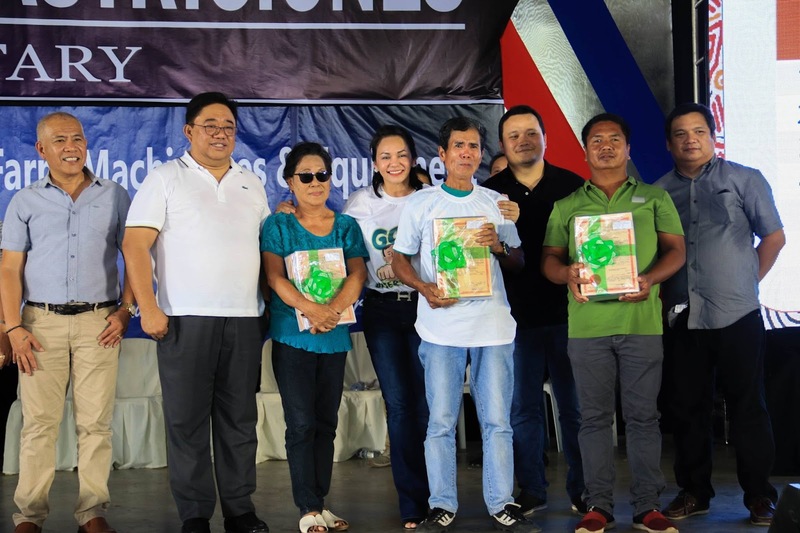 SURIGAO CITY, Surigao del Norte, Oct. 11 (PIA) - Five former rebels (FRs) were awarded with various benefits under the enhanced comprehensive local integration program (E-CLIP) during the Barangay Development Forum on October 5, 2018 at the Provincial Convention Center, this city. The FRs received livelihood and immediate assistance amounting to PhP65,000 and firearms remuneration of PhP116,000 for AK47 and PhP100,000 for M16 from the Department of the Interior and Local Government (DILG). In addition, DILG Assistant Secretary Jonathan E. Malaya, the event's guest of honor and speaker, handed-over a check worth PhP5-million to the provincial government intended for the establishment of a halfway house. A halfway house is a temporary shelter for the former rebels while they are on the process of transitioning from rebel life to a peaceful civilian life for their eventual reintegration to the community. BUTUAN CITY, Oct. 11 -- In a bid to bag the most coveted 2018 National Search for Corn Achievers Award, four local government units (LGUs) in the region are eyeing this year for the prestigious award. In the municipal and city category, DA-Caraga has endorsed four LGUs for the search namely: Butuan City, Las Nieves of Agusan del Norte and Prosperidad, Agusan del Sur while the Province of Agusan del Sur is vying for the provincial level category. A national team has already conducted its validation and assessment. 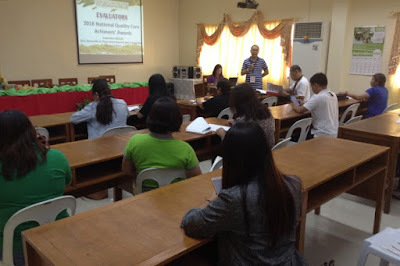 Minimum requirements for LGU category includes the level of aflatoxin from the samples taken during the contest period not to exceed the maximum aflatoxin level of 20 parts per billion (pbb) for white corn and 50 pbb for yellow corn, and with average corn yield for the past three years shall be at least four metric tons (MT) per hectare for yellow and 1.5 MT for white corn based on the latest data from the Philippine Statistics Authority (PSA). Melody Guimary said that big prizes are at stake for the winners wherein the awarding ceremony has been scheduled to take place in Davao City during the National Corn Congress slated on November 13-15, 2018. “President Rodrigo Duterte is expected to hand-in the awards for the winners,” Guimary said. 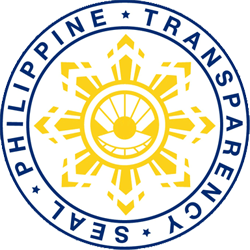 The winning provincial local government unit will receive Php 3 million worth of monetary incentives to be used to purchase farm inputs, farm machinery or equipment or any other needs of the farmers. Its respective provincial agriculturist, provincial corn coordinator will also receive a cash prize and plaque of recognition. For the city and municipal level, the LGU will receive Php 1 million worth of monetary incentives for the same purpose with the provincial level winners, while its city or municipal agriculturist, city or municipal corn coordinators including its agricultural extension workers (AEW) will also receive a cash prize and a plaque of recognition. The respective regional corn team of the winning LGU will also be recognized as outstanding regional corn team who will receive non-monetary recognition such as plaque and medals. Guimary is optimistic that Caraga Region’s entry would yield a positive result. “This year’s award will choose top 5 provinces, top 5 provincial agriculture officers, top 5 provincial coordinators, top 25 city and or municipal agriculture officers, top 25 city and or municipal corn coordinators and top 100 AEWs,” Guimary enumerated. For the past years, Agusan del Norte was adjudged as the top province for three consecutive years hence it was awarded a Hall of Famer.